I have been brainstorming, preparing, eating my way for weeks to bring you this week of ALL s’mores recipes. I have been giving hints and mentioning that this week was in the works for sometime and had everything planned and ready to go for last week but life had different plans. But alas it is here. 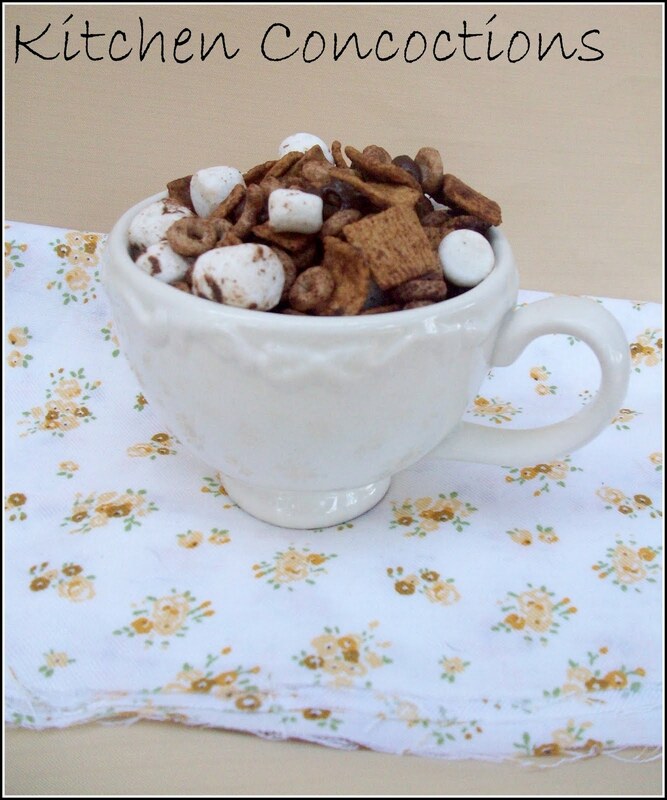 First up this S’mores Snack Mix (inspired by this recipe). 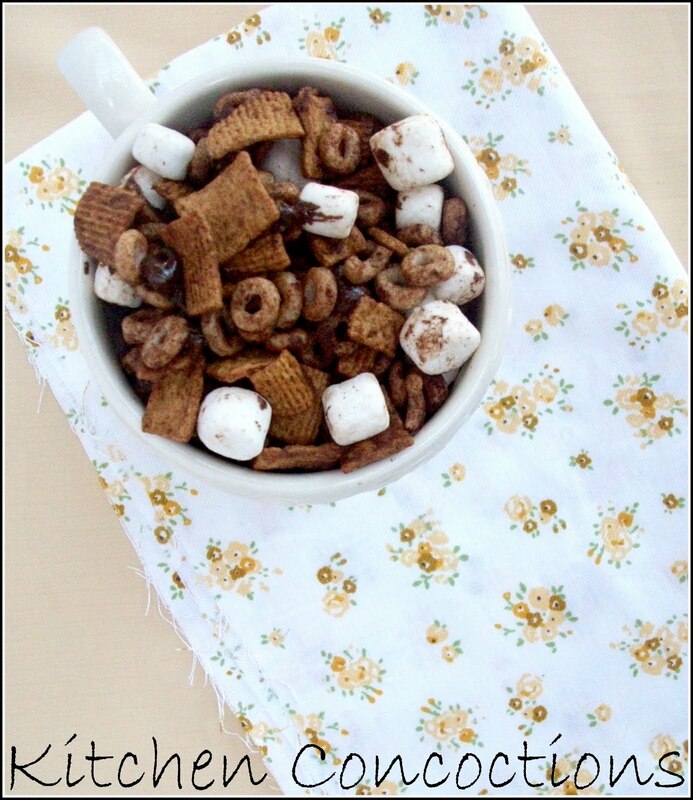 Crunchy grahmn cereal, toasted Cheerios, slightly melted chocolate and plump mallows, it doesn’t get much better than that! This sncak mix made a great movie night treat for us, but I am sure it will make future appearances at game night, parties, and with school back in session would be perfect for a rewarding after school snack. And even if you just make this and sit on the floor staring at the mound of laundry needing to be done (judgement free zone here), making eating this snack mix will surely make happy (or desperate) times better. Combine cereals. In a small bowl mix butter, sugar, and cocoa. 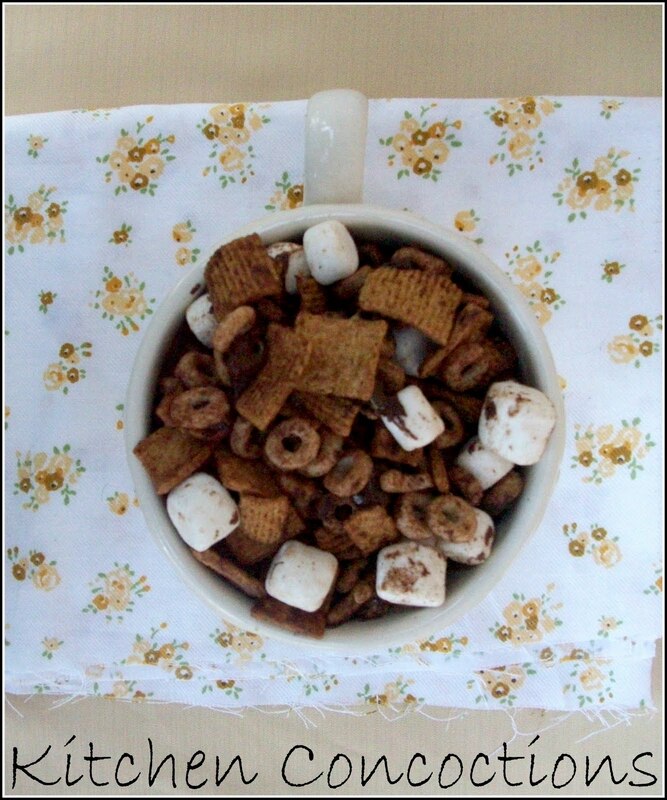 Pour evenly over cereal and toss to coat. Pour into a 9×13 pan and bake for 1 hour stirring every 10 minutes. Remove from oven and cool slightly and stir in chocolate chips and marshmallows.